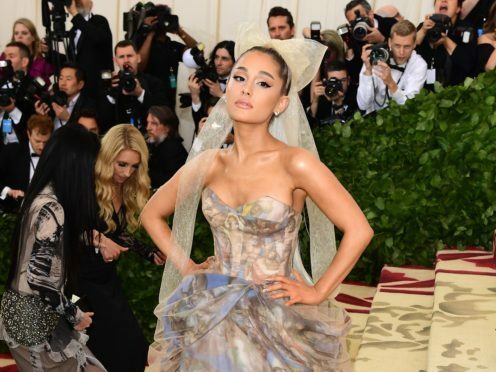 Ariana Grande has released a new song from her highly anticipated upcoming album Sweetener. The track, titled The Light Is Coming, features hip-hop star Nicki Minaj and is the second single from the new LP, following on from April’s No Tears Left To Cry. Grande, 24, announced the song’s release on Twitter along with a teaser while also telling fans the album, due to be released on August 17, is now available for pre-order. Sweetener is Grande’s fourth studio album and her first since a terrorist attacked one of her concerts in Manchester in May 2017. Earlier this week the singer revealed the LP’s artwork, which features an upside-down colour headshot of the star on a beige background with the word Sweetener underneath. As well as Minaj, the record will also have appearances from Missy Elliott and Pharrell Williams. Grande previously revealed the album was named Sweetener because, in the wake of the Manchester Arena bombing, she wanted to tell fans you can make a bad situation better.